Workers Memorial Day is on April 28, and is commemorated both before and during that week of April 28. Now is the time to start planning an event to remember those killed and injured on the job and as a result of occupational illnesses. Have a minute of silent meditation at the workplace. Conduct a ceremony at your facility in memory of those killed and injured on the job and as a result of occupational disease. Be sure to invite the families of those killed and injured. Get a resolution passed by your local government in honor of Workers Memorial Day. Plant a tree in remembrance of those killed and injured as a result of workplace incidents and occupational illnesses. Talk to your local media about the importance of Workers Memorial Day and having a union contract because these agreements contain health and safety language and provisions for training. Work with site management to involve everyone in a week of “Finding the Hazards.” Then, set up a timetable to resolve the hazards found. Conduct a safety training using actual incidents as case studies and have everyone engage in small group discussions. Approach site management about engaging in the USW’s Triangle of Prevention (TOP) program or other health and safety programs. 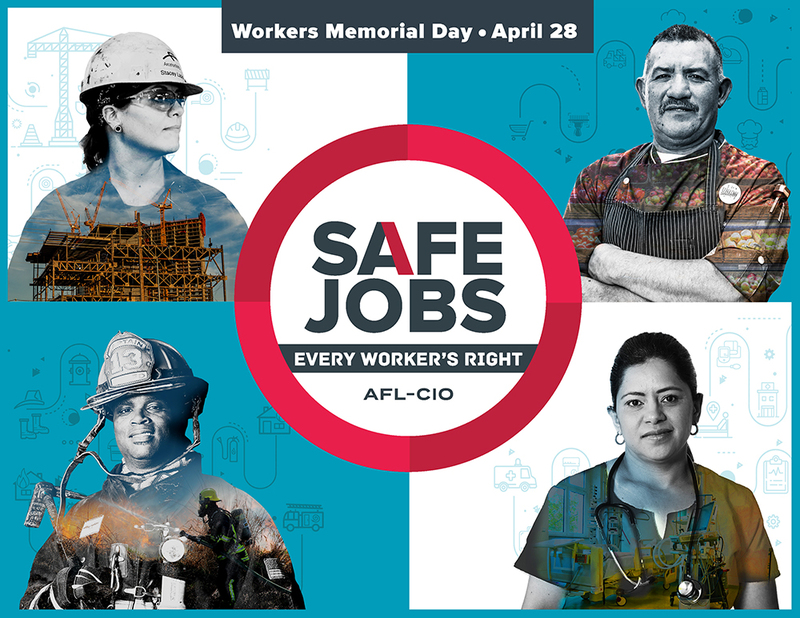 The national AFL-CIO offers stickers, fact sheets and other Workers Memorial Day materials that can be ordered for a small fee. You can do that by clicking here. Click to download a flyer to hang in your union hall or break room in English or in Spanish. Attention Oil Workers: If your local union does an event or health and safety training in commemoration of Workers Memorial Day, please take some photos so we can post them online and use them in The OilWorker. Send them to Lynne Hancock at lhancock@usw.org.